In this short entry, you are provided with one of the possible explanations for the unexplored link between creativity and the use of cannabis and the crowd favourites for the crown of the most creative strain. From the dawn of time people have been fascinated by mind altering substances. While I shall avoid dwelling on the causes of such fascination, one thing is clear: Some people have produced extraordinary, and even world-changing thoughts all while being intoxicated. For most people, the preferred substance is the almighty herb. Cannabis is the most popular illicit substance today; Its effects lauded by many creative thinkers and artists. Cannabis users commonly associate it with feelings of relaxation and enhanced creative flows. In addition to being the most used illicit substance today, cannabis also has and has had a great deal of famous and influential users, many of which not afraid to show their support publicly. Supporters include William Shakespear, Salvador Dali, Carl Sagan, and more recently Neil deGrasse Tyson, Bill Gates, and Lady Gaga. While those are just a few people in the vast population of cannabis supporters they do show how cannabis can be deemed beneficial by a wide variety of people. Their support puts authoritative leverage on the side of cannabis supporters and those that claim its creative potential. All that has been previously said highly rests on everyday user experience; in this day and age, scientific evidence is required for a concept to be deemed true. While sometimes frustrating it is an approach that leaves all bias aside, and in the end, provides unambiguous answers; at least, that is the hope. When it comes to creativity and cannabis use, there has been some rather interesting research that shows some correlation between the two. As is the problem with most cannabis research the studies were underfunded and conducted on a small scale thus making them not very representable. The difference in the effect of different cannabis strains and varied dosing hasn’t been studied either. While the conducted research may not have been perfect, an indication of the connection of creativity and cannabis use might be all cannabis users need to confirm their experience. Marijuana has been shown to increase frontal lobe activity primarily by increasing blood flow to the region. 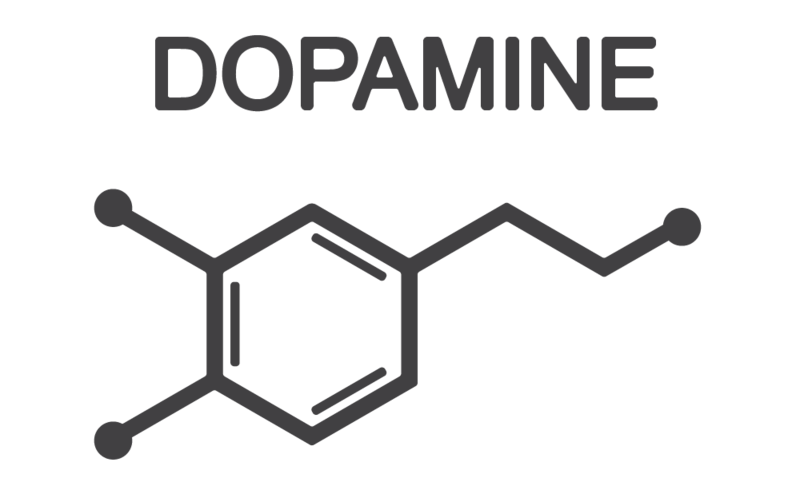 Increased levels of certain neurotransmitters, particularly dopamine, have also been observed. Enhanced frontal lobe activity has been observed in subjects engaged in creative actions. The frontal lobe is thought to be responsible for the creative drive; it plays an important role in reward, pleasure, laughter, addiction and rhythmic timing. Also, the frontal lobe is responsible for divergent thinking; many responses are generated to a problem, with varying degrees of freedom from the original idea. In contrast, convergent thinking is all about narrowing the number of possible solutions to find the right one as fast as possible. It is thought that the marijuana induced activation of the frontal lobe enhances the creative drive and the process of divergent thinking, which is also associated with the creative process. As already mentioned marijuana use increases dopamine levels, a secondary way of promoting creative thinking. Dopamine role in creative thinking is in decreasing latent inhibition and promoting novelty-seeking. Latent inhibition is the tendency to disregard certain sensory stimuli that are deemed unimportant at the present moment; thereby these stimuli’s influence on the mind is decreased. In other words, it limits the amount of data the brain evaluates when thinking about something; when done on purpose the process is called abstraction, a very powerful method commonly used in science. While some sensory stimuli might be limited, others may be enhanced; the altered perception may be a gateway to creative thinking. Dopamine also promotes creativity via the reward-reinforcement pathway, affecting the areas of the brain associated with novelty-seeking. Novelty is a chief motivator for creative individuals, and studies have shown dopamine to evoke within us the desire to discover new ways of looking at the world, the notion of the creative drive here arising again. As we have shown there is a scientific link between creativity and cannabis, a notion confirmed by users around the world. 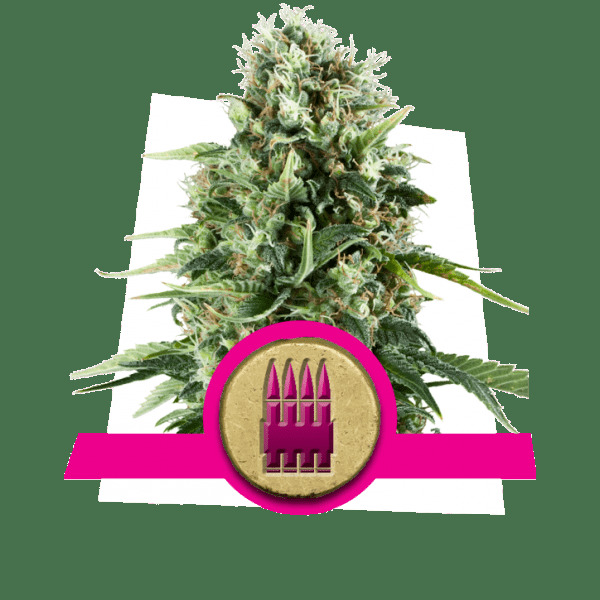 Certain strains are known for being creative; in other words, those strains are good for inducing creative thinking. The effects of certain strains are highly subjective; active ingredients in cannabis are combined with the smokers unique biochemistry, and the combination produces the high. This is known as the Entourage effect. Despite the subjectiveness of a high, there is a widely accepted consensus on the most creative strains. Below is the list of 5 most prominent creative strains. The main effect of Royal Jack is an uplifting and creative high; it makes the user feel uninhibited and willing to let the brain fly. 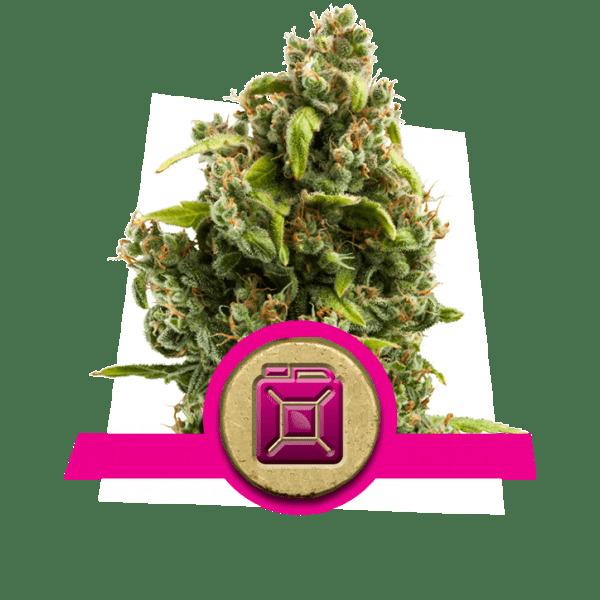 While mainly a Sativa hybrid, Royal Jack's Indica ancestry is responsible for the relaxing feeling it provides, and the focus that follows from it. Royal AK got its name for having an incredibly strong punch; many call the Royal AK a one hit wonder. Even experienced stoners will find themselves having a hard time resisting sleeping just after a few puffs of this brute. However, if the urge to curl up and fall asleep is resisted, what follows is and incredibly relaxed high; the unbothered mind is likely to produce some unique creative ideas. Sour Diesel, often abbreviated as Sour D, is a Sativa dominant hybrid named after its pungent, diesel-like aroma. The unique high is what boosted this hybrid to its acclaimed status; it features an energetic, happy and uplifting sensation. This rollercoaster of positive emotions is sure to captivate the mind of any stoner. Happy thoughts most often tend to be very divergent. Lemon Shining Silver Haze is a strain with a unique smell and taste; it reminds of fresh cut lemon slices. This sweet citrusy delight is bound to put a smile on your face even before smoking it. Combine that with a THC level of up to 20% and you have a recipe for a strong and creative Sativa high. The user might struggle to focus, but whatever the topic of one's thoughts will be fast struck with a storm of ideas. 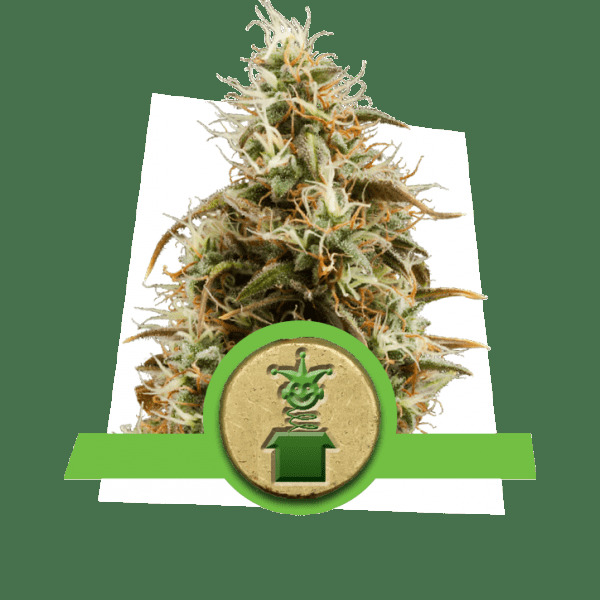 Royal Cookies is another Sativa dominant hybrid on our list. It is the most THC rich strain on our list and as such should be consumed in moderation. The high is mostly cerebral, and the uplifting and happy feelings induced will most often turn to sheer euphoria. You will be excited by your ideas and unafraid and untamed when dwelling deep into them. Perfect for some relaxed and inspiring couch contemplations. It is said that the purpose of medicine, in addition to the alleviation of suffering, is to improve the quality of life. Improved cognition should certainly be considered as an improvement to the quality of life. In that regard, one might even argue that recreational cannabis use should be considered medically beneficial.